Why should you invest in a Feather & Springs mattress? Ever since Nicky Cannon, our founder, first decided to start the business she and her family have been researching mattresses. What goes in them, what goes on the top, what the springs are made of – everything! Nicky and her family have been on a mission ever since to make the best mattresses that money can buy and they’ve certainly been through several hundred prototypes on the way. 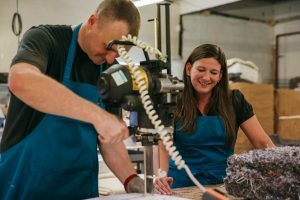 In their workshop in Morecambe, Nicky and the team construct a huge variety of different mattresses, from bespoke sized products for antique beds to our best selling Lune Mattress. The research never stops so that Feather & Springs can make sure that they always stay on top of their game. So, how is a Feather and Springs mattress made? Well, the team starts with bound together open coil Bonnell springs which are powder coated and rust resistant. The bound together element of the design ensures that individual springs don’t ping out of shape because they are bound together. This ensures stability and strength for the core of the mattress and will last longer. We use a super flat, strong steel structure for our mattress frames and these also ensure that the core of your mattress remains strong and stable. The next stage of the mattress making process is to select the fillings. 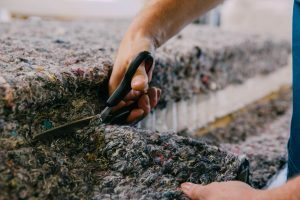 We use a variety of different fillings to insulate the mattress and make it firm so depending on how you like your mattress, we can use a variety of different insulation techniques from memory foam to wool. 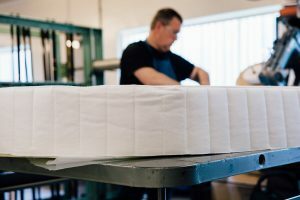 Each of our mattresses is shaped by hand in our workshop so that we can ensure that the fillings are evenly distributed and that the quality is of the right standard (always inspected by our workshop manager, Simon). We hand trim, cut, finish and shape each mattress before we move onto the next stage in the process of making your mattress: the quilting layer. This is the layer that will be against your body through the coverings so it’s crucial that this is laid down correctly and is evenly distributed. If you are having a memory foam mattress we bond this to the frame underneath with two layers, but never deeper than two inches so your mattress isn’t too squashy. When it comes to coverings, we have a range of options from cashmere to damask, coolmax to tencel – each have their pros and cons but all of them do the essential job of keeping everything firmly together, smooth and comfortable. Once we have added in the mattress covering it’s time for us to use an old fashioned technique that signifies a mattress of the highest quality; the tufting. Here’s a picture of Simon tufting a mattress – it’s also called Buttoning and it’s when each part of the mattress is bound together using buttons. It keeps the layers together and will help your mattress to last over time. Next it’s time to do the tape edging – a skill that can take years to learn. Happily for us, some of our staff are the best in the business and they will tape edge each mattress perfectly, to bring all the layers together neatly to finish off the process. 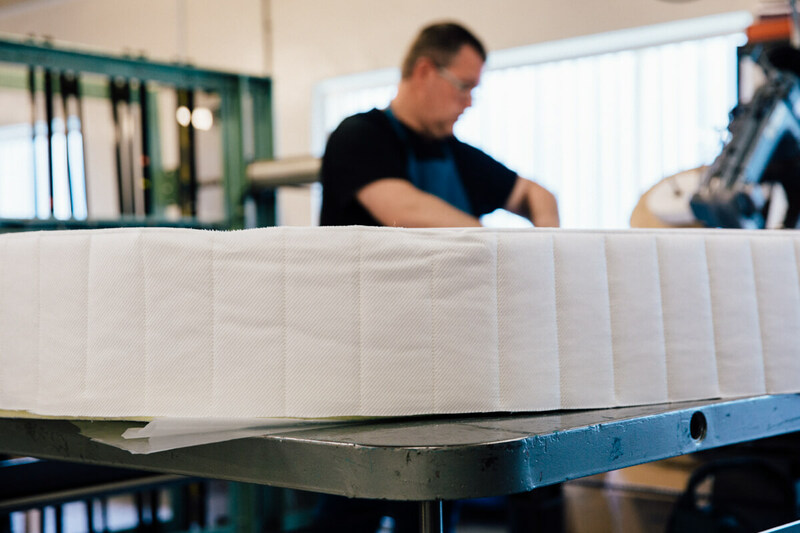 Finally, for some of our ranges, we hand stitch the edges of the mattress so that we can ensure that the quality, stability and strength is guaranteed for years to come. 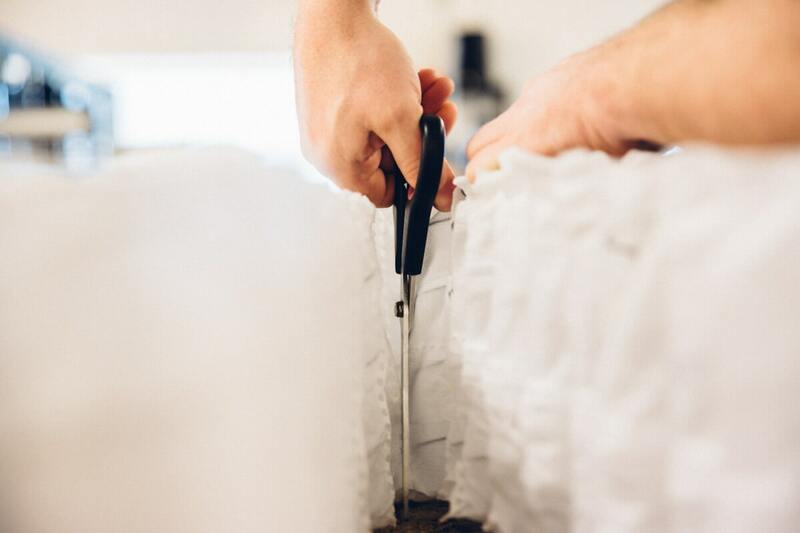 It takes our team around 15 hours to hand stitch the edges of our mattresses but you’ll see from the final product that the result is worth the effort! 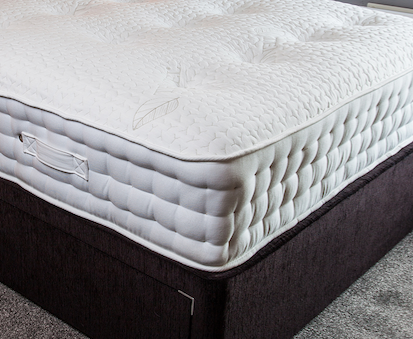 This is a picture of our Kent Mattress – it’s hand finished and is built up with several layers of insulation and padding to give you an incredibly luxurious night’s sleep. 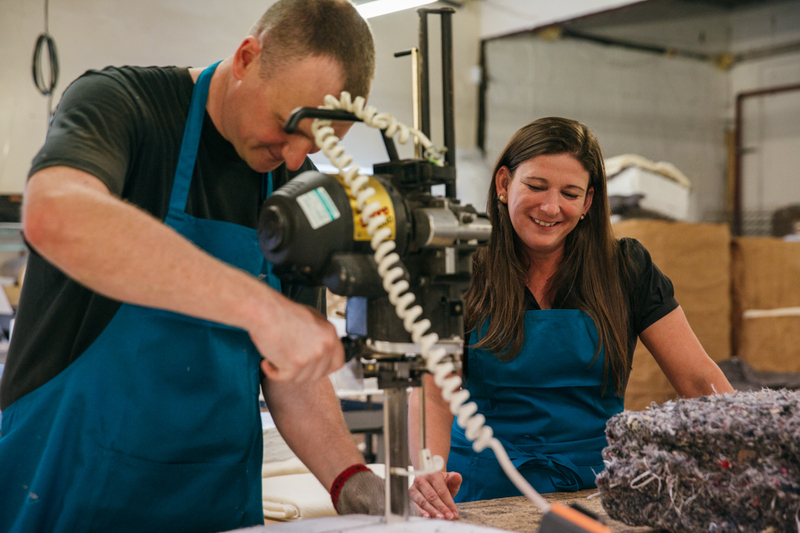 So, there you have it – every mattress that goes through our workshop is checked, inspected, measured, packaged and made with passion and skill by our incredible team. We are really proud of our products here at Feather & Springs and we think that they speak for themselves. Come and see us at our showroom and take a look at what we have to offer – you can’t beat a really good mattress for years of comfortable sleep!